LIVING IN THE BAADER GLOCKENBACH. 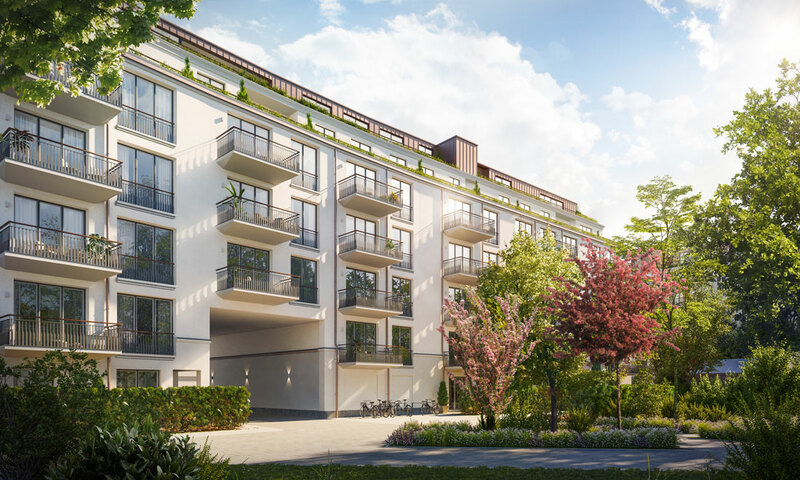 The generous terraces and balconies combine first class residential quality with a view to the quiet inner courtyard. Experienced landscape architects have arranged greenery for the exterior, providing relaxation in an urban background as well as an attractive residential atmosphere. DISTINGUISHED LANDSCAPE ARCHITECTS HAVE DESIGNED THE BAADER GLOCKENACH BLOCK’S INNER COURTYARD AS A WELL LIT, SPACIOUS OASIS IN THE CITY CENTRE. NATURE IN THE CITY CENTRE: SPECIALLY SELECTED PLANTS AND PATHS.